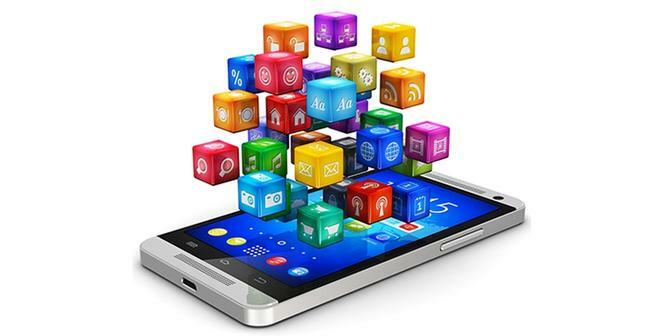 Mobile apps have become a must-have for brands in the smartphone era. But how do you ensure yours actually sticks with customers? “Everybody thinks about mobile as a channel,” regional director for the customer interaction platform Swrve, Scott Mirabello, tells CMO. “But mobile is not just one channel. There are actually about 17 different channels on that device, from email and social messaging and text messaging to apps. The channels that sit on that device are also going to continue to evolve. What’s clear is download numbers are no guarantee of success. A 2017 report from App Annie found the average smartphone user used 30 apps per month, and 10 per day, with the most popular categories were utilities and tools, such as web browsers, followed by apps for social networking, communication and social engagement. This was despite users normally having between 60 to 90 apps on their device. This echoes an earlier report by Localytics, which found 80 per cent of users did not use apps they have downloaded after three months. This hasn’t stopped developers from churning out an increasing number of apps, with Statistica reporting 2.1 million apps were available on Google Play and 2 million in the Apple App Store in Q3, 2018. However, numerous reports have noted the rise of these so-called zombie apps, with Adjust noting 83 per cent of those in the Apple App Store were not in the top 300 placements, meaning they would show up organically. Altogether that makes for a huge number of zombie apps languishing unloved in app stores and the back pages of mobile phones. So how then can any brand break through that sea of competitors, and not just get on to the phone, but stay on the phone and become a useful part of a consumer’s life? The first port of call for many brands has been personalisation. But according to the managing director in Australia for experimentation platform Optimizely, Dan Ross, the problem here is the number of variables for each user means no brand can every truly know what’s going on in their mind at any given time. “They know maybe what you were doing last time and where you are, but even then they are probably not sophisticated enough to have that data organised and ready to deliver a personalised experience in that moment,” Ross says. The hope therefore is by making a process simple and valuable, it can become habit-forming. Principal at mobile consulting firm Lean Forward, Jennifer Wilson, attests a habit can take between six to eight weeks to create, and then needs to be maintained. “It’s hard to see how a brand - other than one that provides us with something of real intrinsic value - can build a habit in themselves,” she argues. “That said, Nike and RedBull build habits around our behaviours which then have a flow on benefit for the brand. It’s for this reason that SAP Customer Experience CMO, Kevin Cochrane, believes brands need to seriously rethink the role their app will play in the lives of consumers and focus on how it will assist the consumer, rather than just assisting the brand. “We are just learning now how to drive predictive models based on machine learning to provision the appropriate service in an appropriate, progressive UX that creates the habit-forming behaviour,” Cochrane says. Ultimately, this means thinking about the mobile device as a relationship tool rather than an acquisition tool. “When brand leaders were thinking about customer experience, it was really still tied to the customer acquisition experience, and tied to the first part of the lifecycle and driving people to prescriptive outcomes based on their marketing automation systems and internal KPIs,” Cochrane says. “Now we need to go a step further. We are trying to help people have a happier, better life, and there is a specific outcome that we need to help them drive towards.